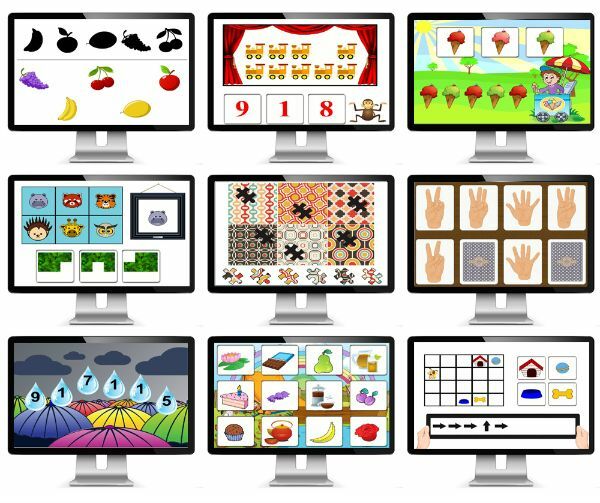 La La Logic is a company that strongly believes in the combination of online Brain Challenges, printable worksheets, and enrichment activities. Together these create a strong critical thinking foundation in your child that will result in an enhanced capacity for learning. When you purchase this curriculum you get a lifetime membership to use with multiple children (up to five). There is no time limit on how long you take to complete it with your child. The curriculum is broken down into 3 main parts. During The Brain Challenge your child spends time on either the computer, iPad, Android Tablet, or Mac doing some interactive activities. Each activity gets more complex as they pass the previous ones off. 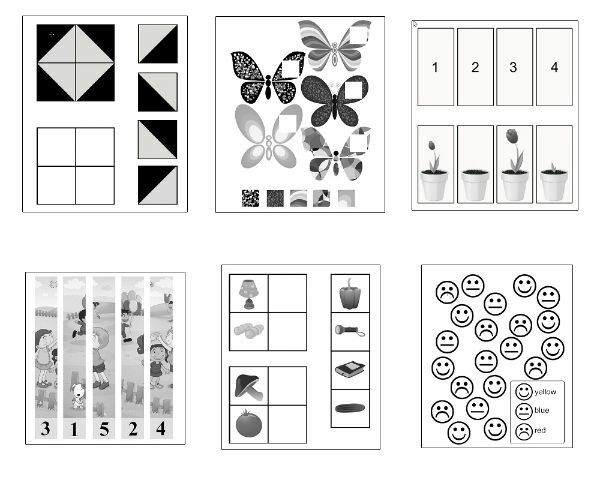 The Worksheet portion gets kids using their problem solving and critical thinking skills as well as fine motor skills as they will need to color, cut and paste the worksheets. The first time I printed out the teacher plan, which I will explain below, I made the mistake of printing it double sided and then my son had to cut the worksheet, which in turn, cut up the enrichment activity. Don’t make that same silly mistake. The Extension activities vary from things like word games, scavenger hunts, stories, narration, solving puzzles, dramatic play, picture study, copywork, nature study and more. These activities usually got done over 2 days the suggested days were Tuesday and Thursday. You would spend the first day reading a provided story to your child, then on Thursday see if they could remember what happened and narrate it back to you. You would also discuss the story some more with some given questions. There is also an area where your child can just play the extension activities and go on and on. This is a fun way for them to play on a device while still learning some preschool logic games. Now back to the beginning. When you first log into the site there are two choices for you. One says Home- Students. The other one says Continuous Brain Challenge Mode. For the first week of using this I could not figure out how to get to the lessons, I kept having my son use the Continuous Brain Challenge Mode. When I finally discovered the weekly lesson plans I felt so silly. They were right there above where I was clicking for him to play and learn on the Continuous Brain Challenge Mode. Under each student you will have the choice of La La Logic Curriculum or Extra Practice. If you click on La La Logic Curriculum it will take you to a section that has 20 of these cute little chalkboards. Each chalkboard is labeled as a set, like Set 1, Set 2, etc. Each set has 5 weeks worth of lessons in it. 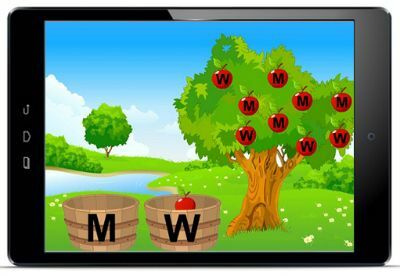 Once you click on the week you are in a suggested weekly schedule appears along with the weeks Brain Challenges and the downloads you will use that week. There is also a section for you (the parent/teacher) to make some notes, and mark the lesson as complete. Once we got going correctly we used the curriculum exactly as it suggested. The weekly schedule looked like this. Each day took about 10 minutes total with the exception of Wednesday which took between 10 and 20 minutes. This was the perfect amount of time for my little guys attention span. He is at the high end of the age for this with him being 5, but he really enjoyed it. Each lesson is completely laid out for you and I mean completely. This was the easiest- on me – curriculum ever as far as teacher prep went. We would log in and he would usually work on his iPad while I printed out the weeks stuff and then we would just come to it each day and do what it said. This was so simple one week I even had my 14 year old teach him and she understood it all perfectly without having to have me explain to her what to do. I also really appreciated the fact that you could play the logic games and not mess up where we were at in the lessons by using the Continuous Brain Challenge. This allowed my 10 year old to play some of the games too. After she saw her little brother playing some games during school, you know she wanted to try them out too.